This restaurant is located in Bangkok, Thailand, and is like something from a science fiction movie. The eatery is actually run by robots! If youâ€™ve ever seen an episode of the now-cancelled Nickelodeon show Sam & Cat, you may remember the restaurant on the show that had robots who took customerâ€™s orders and brought out their food. Thatâ€™s pretty much what you can expect when you visit Hajime. Lapassarad Thanaphant, the owner of Hajime, invested almost $1 million dollars in the eatery, and thatÂ was just so she could purchase four robots for her business. 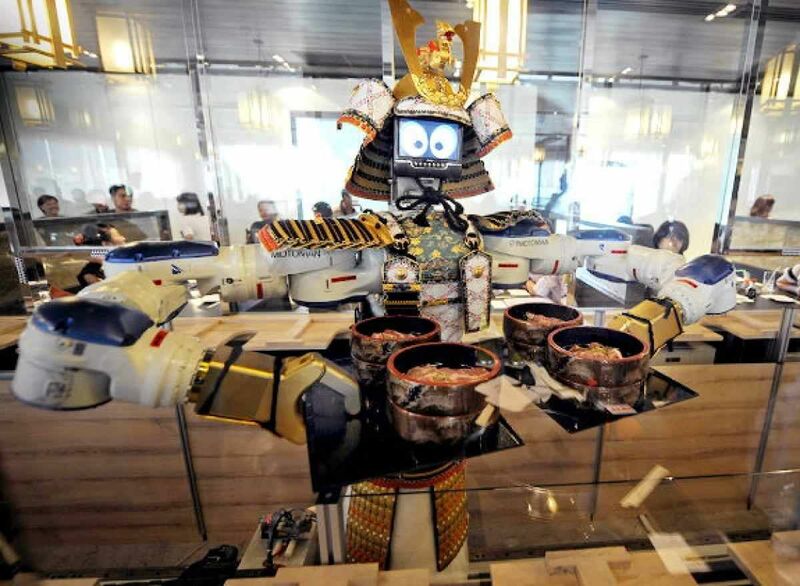 In addition to serving Japanese fare to customers, the robots also dance.